[tps_header] We moved away from our family and home state when we left for graduate school, and since then we’ve lived in four different states and gathered dear friends in every place we’ve been. We love LOVE when we have guests, and when our friends and family come to visit. It’s always so wonderful to get to spend time with them, and show them “our town”. I seriously can’t wait for our house to be finished, so we can start having guests again! We are pretty casual when it comes to breakfast, and even when guests come, we mostly stick to hot/cold cereal, fruit, yogurt, and juice. It’s always fun serving an extra yummy breakfast during the visit, and we’ll save it for a morning when we have plenty of time to enjoy it. 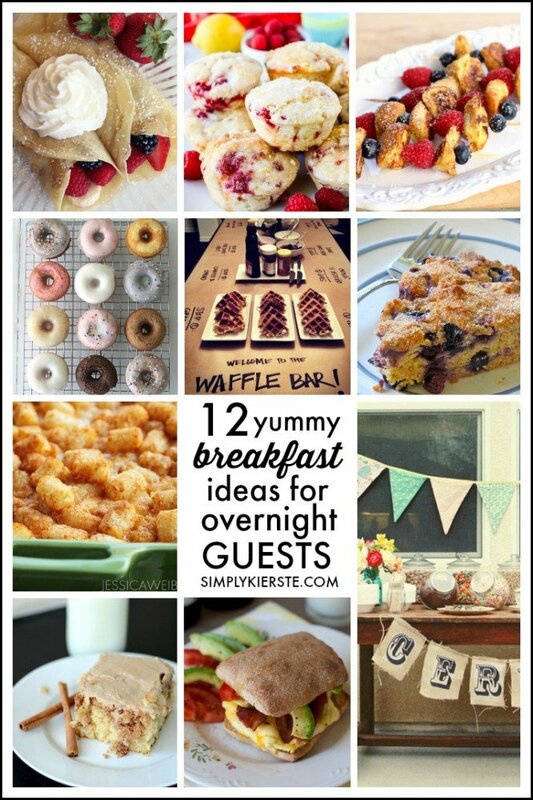 Summer travel brings with it more opportunities for guests, so I gathered up some of the most mouth-watering breakfast ideas for overnight guests I could find. Many of them are also easy and quick to put together, which with their delicious factor, make for a winning combination!